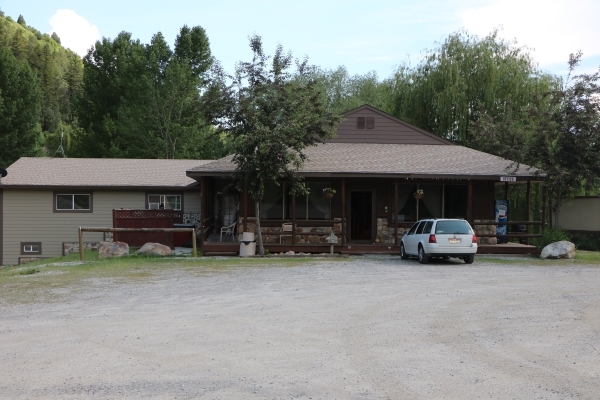 The Cub River Guest House is located next to the beautiful Cache National Forest, just 8.4 miles up Cub River Canyon in the southeastern corner of Idaho. The Cub River Guest House is only 2 hours north of Salt Lake City, Utah and only 1 hour south of Pocatello, Idaho. Cub River Guest House offers year-round facilities and nearby activities. Enjoy volleyball, tetherball, and horseshoes, starlit nights in the hot tub or sitting around the campfire. Hiking, biking, and horseback riding trails are nearby. Horse, ATV, and snowmobile rentals are available nearby! Our amenities will help make your vacation comfortable and stress free. 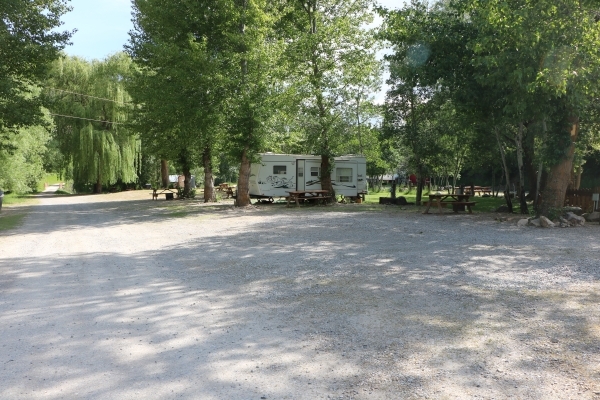 Some of our amenities include: Facilities for 150+ people, high speed wireless internet, satellite TV, laundry facilities, 11 full hookup RV sites, tent spaces, and catered meals for groups (schedule in advance). At The Cub River Guest House, you can breathe the fresh mountain air while listening to the bubbling splendor of the Cub River tumbling over the rocks, next to the Cache National Forest. The Guest House can sleep up to 52 people in beds, with additional floor space. And for the adventuresome type, you’ll find an RV Park and Campground with spots for tents. The Ranch has year-round accessibility on a well maintained road, next to the entrance of the Cache National Forest. Take advantage of the many activities, including 350 miles of ATV trails, horse trails, and snowmobile trails. The Guest Ranch has 11 RV Sites with Hookups. A large lawn area is surrounded by RV Sites with access to great trails at the Cache National Forest just a 1/4 of a mile away. We can cater a scrumptious Dutch oven meal for your get together if given advanced notice.